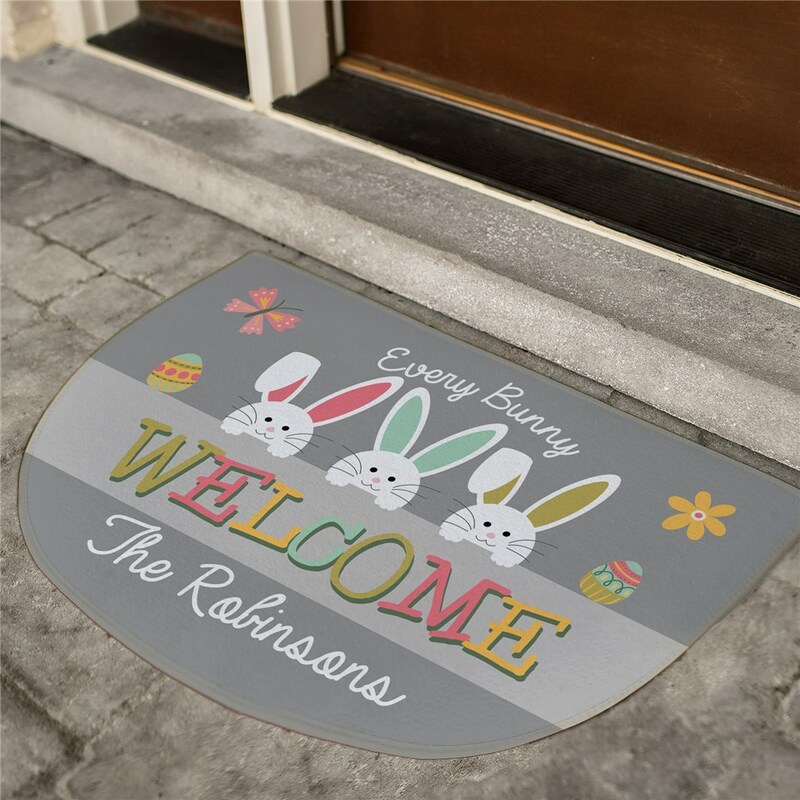 Welcome your guests properly with our Personalized Every Bunny Welcome Doormat. This Spring Decor will be personalized with your choice of design color and any custom message line. 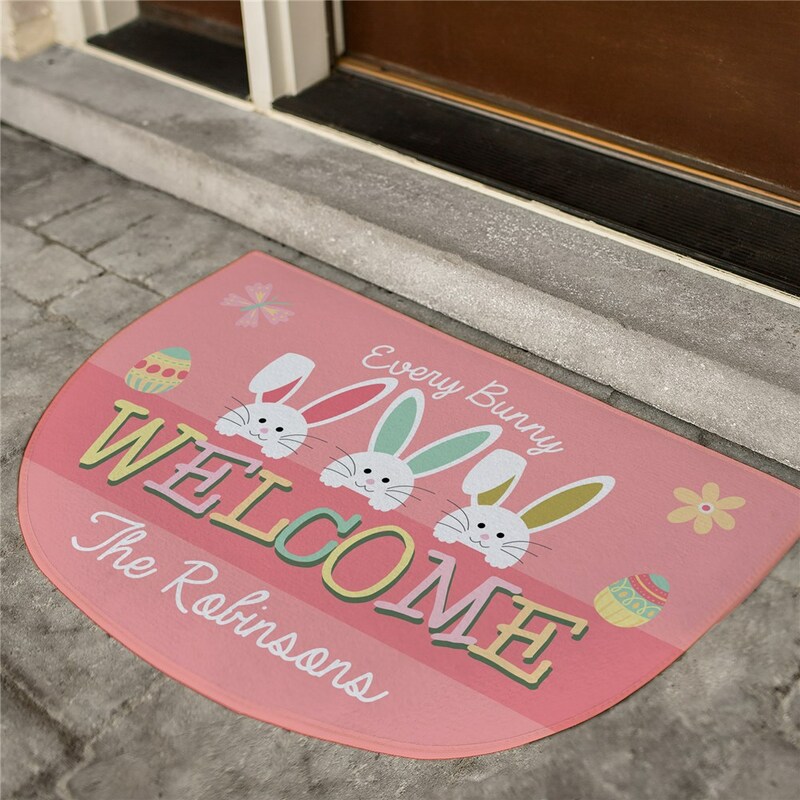 Easter Personalized Doormats make a fantastic gift for housewarming parties!